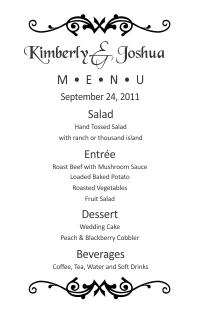 This type of menu is made of two layered sheets of 65 lb. or 80 lb. card stock. Only the front layer card is printed on. After printing the card is glued to the base card. 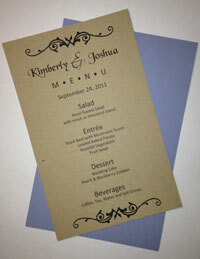 This type of menu paper is available in kit form in quantities of 50 and you order the base and layer card(s) separately. 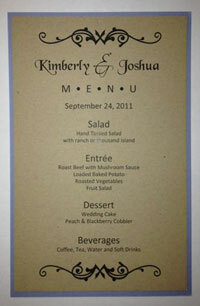 There are hundreds of color combinations for these menu cards. Available in Corel Draw, InDesign, Publisher and Word formats. 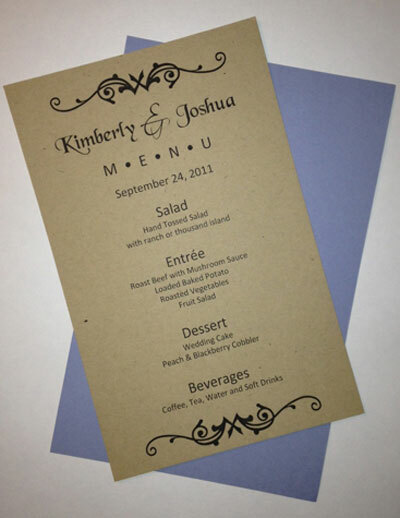 You can easily customize these templates with your favorite fonts and wedding colors. 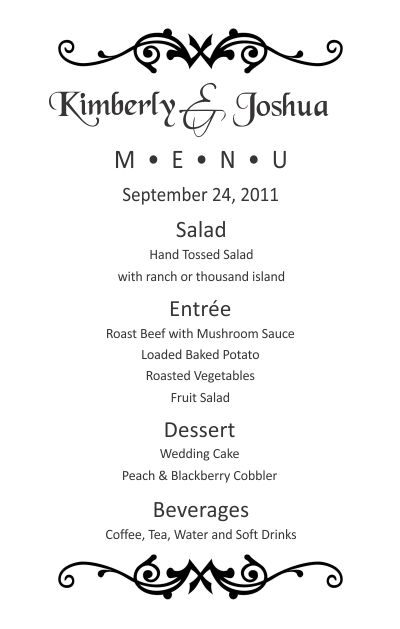 All formats for this menu include only one file which is for the front layer card. The base card is not printed on. Base Card Size: 5.5" x 8.5"
Front Layer Card Size: 5.25" x 8.25"
Click thumbnails for enlarged view. Completed card shown with Periwinkle base card and Kraft front layer card. 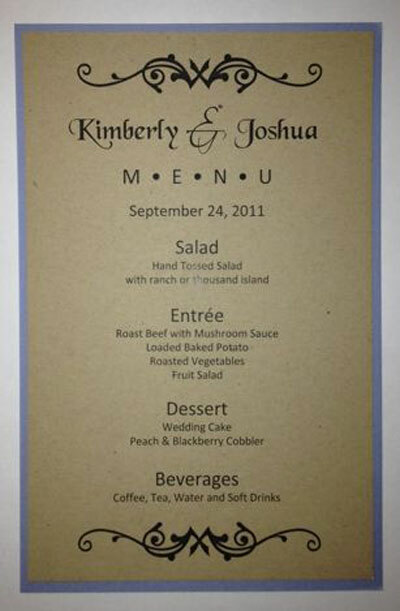 Where Can I Purchase a Kit for This Type of Menu Card? Menu shown before assembly. Front layer card can be attached to base card with a standard glue stick or glue dots.